League created and all invitations sent. @би-кевин-кристиан como deve ser chamada a liga? @би-кевин-кристиан . he is want created league after 23:59 in server time. 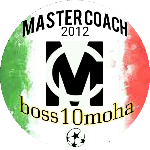 The league was created, all invitations sent. Good luck to all. @ali-3lokaa we are already out. and not creat the league ! Yes, this is something obvious in all competitions. Failure to comply with this requirement, if proven, may result in penalties. If your opponent did not post the alignment, as I said in the previous Post. He is given W.O, and his group becomes the winner advancing the nexphase. Explain this to me better in the game PM. he is want created league after 23:59 in server time. 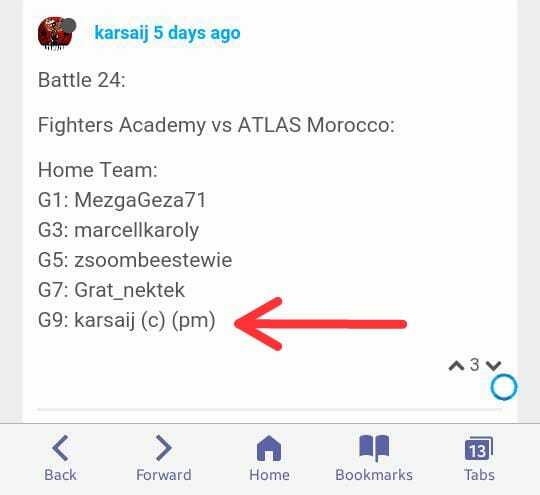 We are ATLAS Morocco and We have not received yet any invitation from karsaij the leader of Fighters Academy Crew . My crew was waiting for him to create the league and send invitations. Because its the (PM) in the line-up and he did not .. ! My opponent group has not posted alignment until the league was created, your group will automatically win by W.O. My opponent group has not posted alignment until the league was created, my group will automatically win by W.O. @davide-reggio1 yep, That's right , but we don't do a subtitution (directly) ( the battlepedia says that substituon is when the manager give up the league or He is changed during the league) the manager with G 1 never enter to the league for that fact Revolucion Hispana thinks that is only a replacement of one manager for other , we tell to the clan captain that It wouln't a foul , or at least a change late of the line-up , sure It's controversial so Revolucion Hispana will accept the answer of the organization.